A few months ago, Third Day disbanded. I know, it’s a sad time in CCM, and yep, I’m in mourning. However Third Day was one of this generation’s most influential bands, and while I think that the band would’ve had their best years ahead of them had they continued; it was clear that God was leading the individual members elsewhere. Mac Powell, Mark Lee, Tai Anderson and David Carr have decided to part ways and do other activities that the Lord has placed on their heart. For Tai, it was being a motivational speaker and moving into the marketing field, and for David, it was photography full time. Mac decided to go back to country/southern gospel music as a solo artist, and for Mark Lee, he has chosen to dabble into being a solo artist as well. Now I for one have never heard Mark sing- he has always been the lead guitarist for Third Day, and all I’ve heard are background vocals. 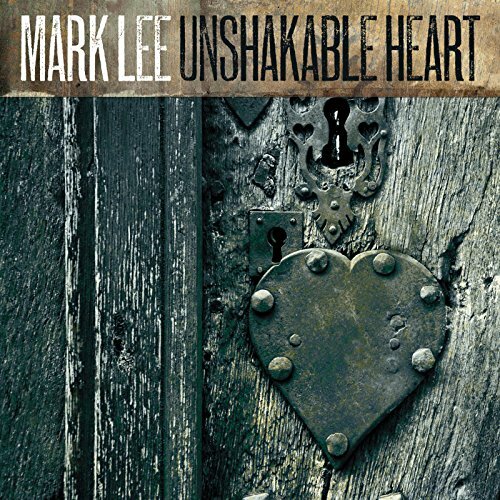 However, on Mark’s debut EP Unshakable Heart, which released worldwide a month and a bit ago, and was funded via Pledgemusic; his vocals are on display for all to hear- and they’re pretty good. Genre-wise and thematically, Mark’s project is so, so far from Third Day, but is nonetheless very engaging and impacting, as we hear the honest and vulnerable journey that Mark has been on, and the valuable things he has learned along the way on this road called life. Musically the EP as a whole is rock/acoustic/folk/indie all at the same time, and that’s definitely a good thing! EP opener “Hurt Road” is a mid-tempo guitar led ballad, similar in the vein of Steve Grace, as Mark ardently relays to us that in order for any of us to move forward in life, sometimes we need to travel down a road that can bring us pain and hurt, but ultimately character growth and strength as well- and as the basis for Mark’s autobiography of the same name as well, “Hurt Road” is fitting as an opener, as it inspires us to keep on going on the path Jesus has for us, even if it’s hard. Alternative rock song “Glorious One” has shades of Stu G and early-Delirious? in it, as Mark eagerly reiterates to us that Jesus is the glorious One, the only One that we can and should praise at all times; while acoustic guitar driven folk inspired title track is CCM-esque and radio-friendly in nature, as Mark firmly states that with Jesus by our side, nothing will sway our ‘unshakable heart’ because of the Almighty and the Lord our God with us every step of the way. Penultimate track “Do Not Be Afraid” is the closest that we could ever get to a Third Day song (early Third Day, mind you!) as Mark passionately drives home the fact that we ought not to be afraid in any and every circumstance, because of Jesus with us and for us all the time. Lyrically set up like a scripture in song; we are blessed to hear Mark belt out eternal truth after eternal truth. As the EP winds to an all-too-short close, Mark wraps up proceedings with “When The Rain Comes”, a cover of his former band from their 2001 album Come Together– and musically it’s similar to Third Day’s version. It’s a song that caught my eye because of it’s familiarity, however it’s a lesser known, obscure track, but one that deserves attention as previously Third Day created a beautiful original version. On this rendition, Mark hits it out of the park as well, and to end the EP on a song that reminisces and looks back but also looks forward to the future; is a great thing. What is next for Mark Lee? I guess it would be to create more music and write more books, but I’d have to say that I don’t know. But whatever it is, Unshakable Heart is just the beginning of a new journey for Mark, and one that should be very exciting, even if it is scary. If you are a bit apprehensive to check out his solo material, given that Mark didn’t really sing that much with Third Day; that’s ok. But let me tell you that you’ll be pleasantly surprised here, as we hear an artist on fire for Jesus, and passionate for spreading the gospel through song. Sure Mac’s voice is more distinctive, but Mark’s voice is engaging and inspiring also. So, what are you waiting for? Why don’t you see if your heart is unshakable, and check out Unshakable Heart?